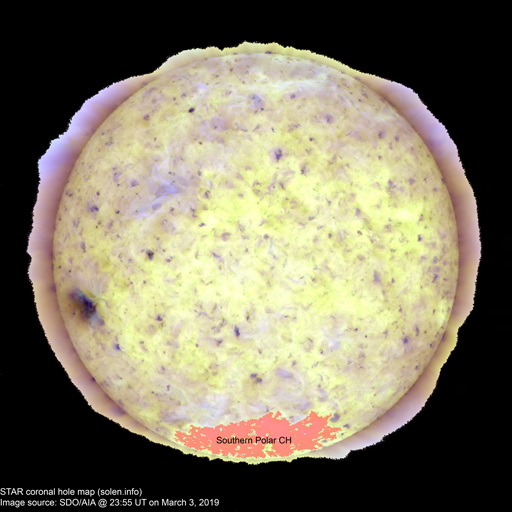 Last major update issued on March 8, 2019 at 04:35 UT. 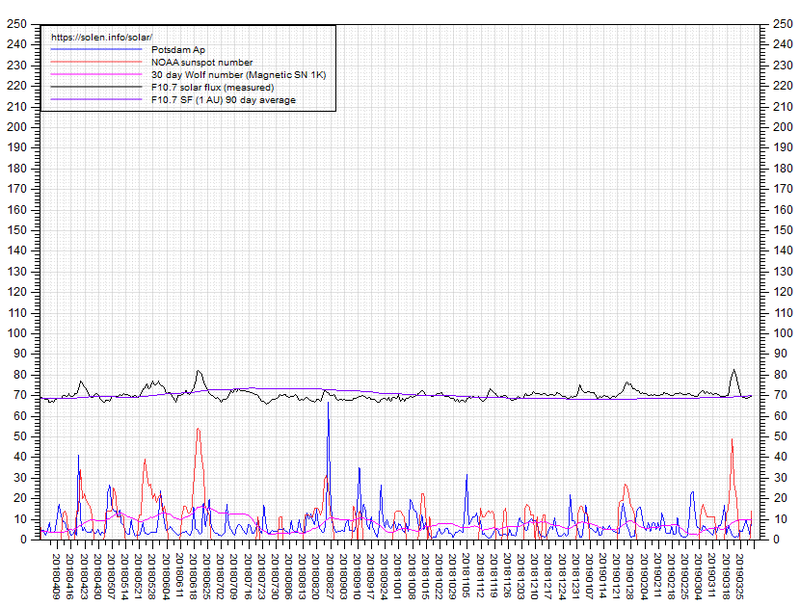 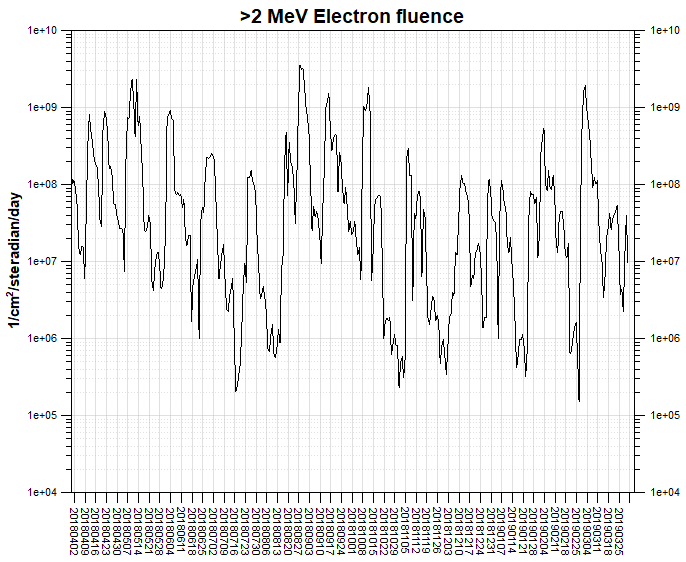 The geomagnetic field was quiet to unsettled on March 7. 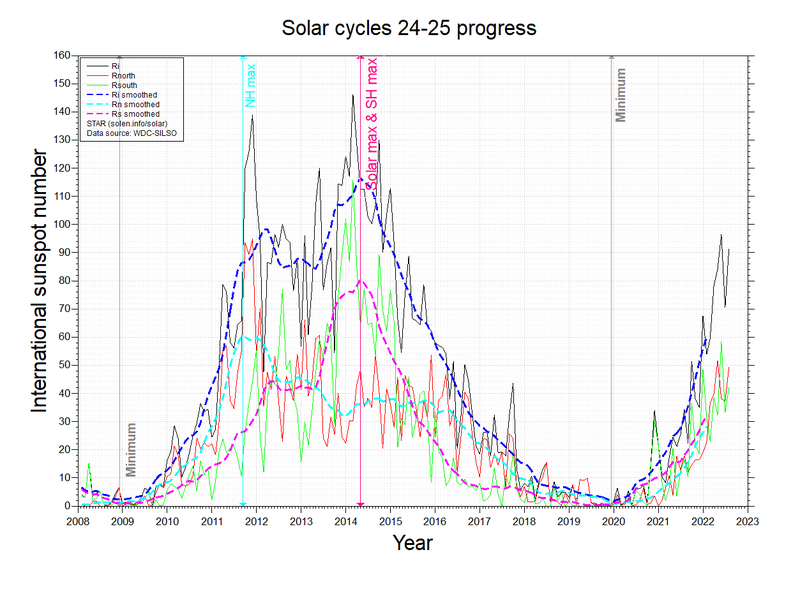 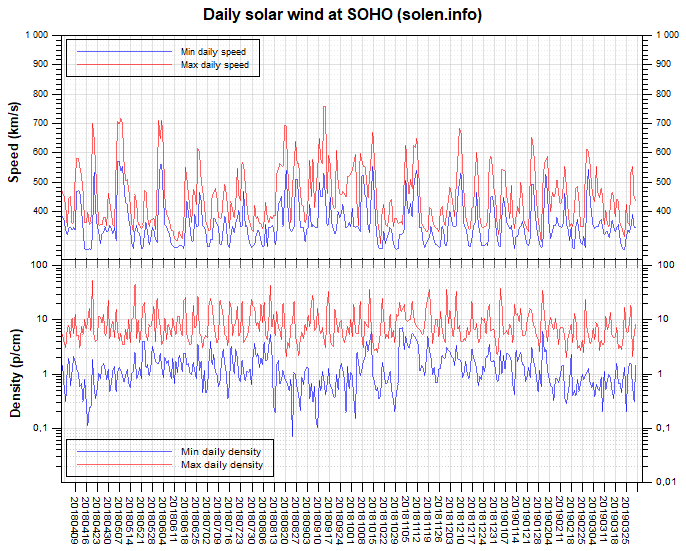 Solar wind speed at SOHO ranged between 347 and 461 km/sec. 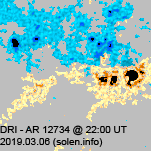 At the time of counting spots (see image time), spots were observed in 1 active region using 2K resolution (SN: 17) and in 1 active region using 1K resolution (SN: 13) SDO/HMI images. Region 12734 [N08W02] decayed losing spots and area. 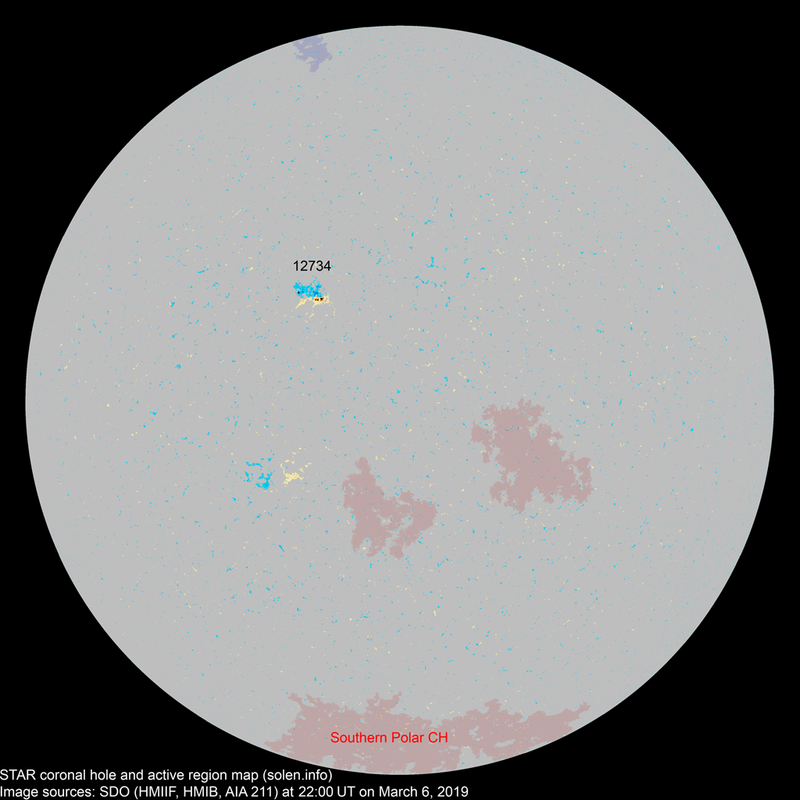 The region produced a C1.3 flare at 03:19 UT on March 8. The geomagnetic field is expected to be mostly quiet on March 8-10.